This book is free from 04/19/2019 until 04/20/2019. Luisa Marietta Gold was born in Pennsylvania where she spent a large part of her adult life. She moved to North Carolina after the birth of her only daughter. 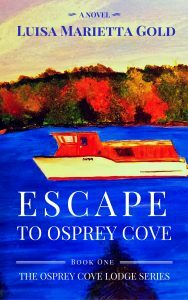 She published her debut novel, Escape to Osprey Cove, which is Book 1 of The Osprey Cove Lodge series in September 2016. The Osprey Cove Series was born from Luisa's love of the Rideau Lake region of Canada, the outdoors, and lake life. She spent many years enjoying the Rideau region while staying in lodges reminiscent of the lodge in her first novel. She currently resides on eleven acres in her North Carolina home near an idyllic lake with her husband and several mixed labs. She spends as much time as possible enjoying the beauty of the lake. Luisa also does acrylic painting. The cover of her debut book which features The Lady Droxell on a Canadian lake was painted by her. It was very satisfying to Luisa to know that she created the entire project. There is a tea room not far from her home where one selects a hat to wear while dining as did Libby and Rosalind in the book. And sometimes they are silly. Luisa's bio picture was taken there. The mystery begins with an unusual find in the secret compartment of Doug’s new Corvette. It will change his and Catherine’s life forever, forcing her to find escape at The Osprey Cove Lodge. This book is free from 03/24/2019 until 03/25/2019. 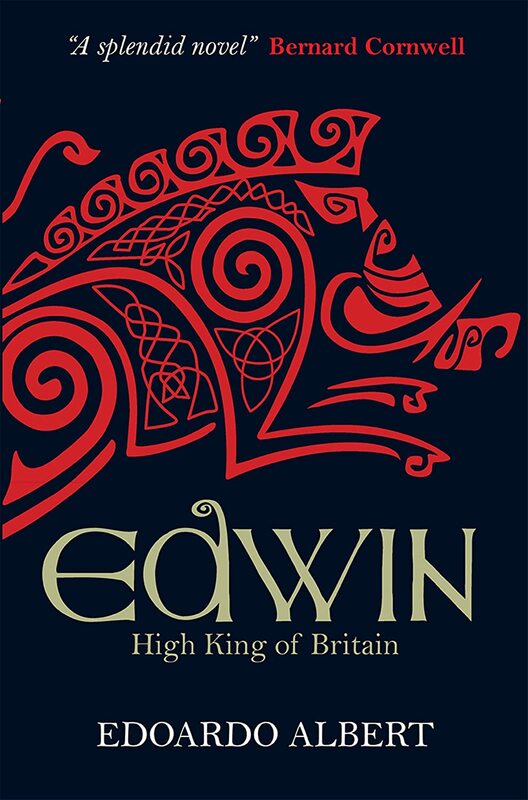 In 604 AD, Edwin, the deposed king of Northumbria, seeks refuge at the court of King Raedwald of East Anglia. But Raedwald is urged to kill his guest by Aethelfrith, Edwin’s usurper. As Edwin walks by the shore, alone and at bay, he is confronted by a mysterious figure—the missionary Paulinus— who prophesies that he will ascend to greater heights than any of his forefathers. Through battles and astute political alliances Edwin rises to power, in the process marrying the Kentish princess Aethelburh. As part of the marriage contract the princess is allowed to retain her Christian faith. But, in these times, to be a king is not a recipe for a long life. This turbulent and tormented period in British history sees the conversion of the Anglo-Saxon settlers who have forced their way on to British shores over previous centuries, arriving first to pillage, then to farm and trade—and to come to terms with the faith of the Celtic tribes they have driven out. The dramatic story of Northumbria’s Christian kings helped give birth to England as a nation, English as a language, and the adoption of Christianity as the faith of the English. 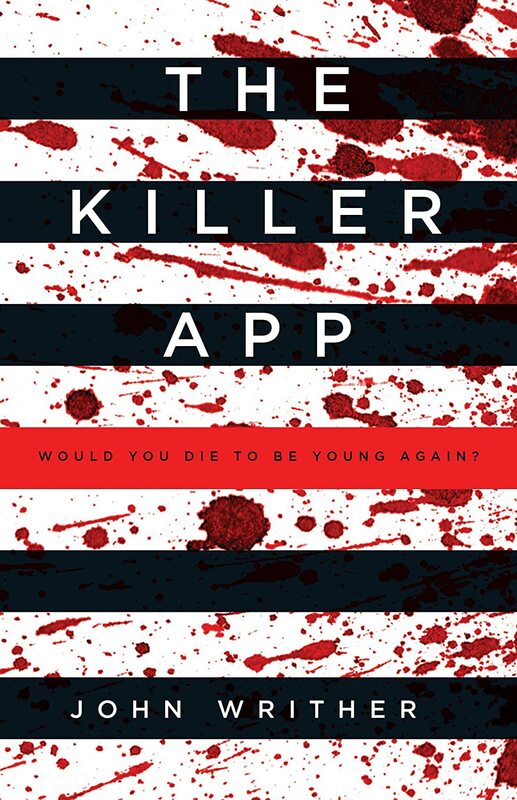 The Killer App is set in a future generation where Britain is crippled by an ageing population, and the associated spiralling costs of pension, health and social care. The new Prime Minister, Robert Hand, pledged to strip-search the country’s finances, as well as funding research and innovation, to remedy the situation. He teams up with Bill Haugan, a ruthless American businessman with a penchant for pushing the boundaries, and Janet Icks, a hard-working genetic scientist wedded to her laboratory. On top of the snow-covered pistes around Davos, Switzerland, the unlikely trio hatch a killer experiment designed to revolutionise society. They all have their own personal interests in the proposal – Hand wants the public vote for solving the demographic imbalance, Icks is keen to test her research to transfer DNA after death, while Haugan has designs on expanding his empire – yet the worlds of politics, big business and science become uncomfortable bedfellows in a bid to rebalance the population. How many lies does it take to get away with murder? Magazine Editor Laurel Imperiole is vacationing in Florence, Italy, with Aaron Gerrard, Chief of Detectives of New York City’s 13th Precinct Identity Theft Squad. A chance encounter brings Laurel to a startling realization: she’s just bumped into a dead man: Jeff Sargasso, an art dealer and husband of a close friend who supposedly died in the World Trade Center on 9/11. When he vanished, Sargasso had been brokering the sale of a priceless masterpiece that was lost during World War II to CEO Alfred Hammersmith and billionaire Miayamu Moto. Hammersmith perished along with Sargasso on 9/11, and it is believed that the access codes to the $15 million deposit–ten percent of the asking price–died with them. Could Sargasso have faked his own death to steal the money? The painting’s whereabouts are unknown. Laurel enlists the help of private detective Helen McCorkendale, and together they follow the threads that lead from Florence, Italy, to New York. On the way, the women tangle with Israeli Mossad agent Lior Stern and several stop-at-nothing collectors. All are determined to have the painting for themselves. Ignoring Aaron’s advice, Laurel puts their volatile relationship in jeopardy. As Helen and Laurel search for Sargasso, the painting and the money, they find themselves enmeshed in a sinister skein of lies that could end in death. Laurel Imperiole, a reporter for New York’s Women Now magazine, has just received a series of emails from Anne Ellsworth, a young woman in fear for her life. Anne has discovered that her fiancé has several aliases and is terrified of what he will do if he finds out. Laurel, who empathizes with Anne, sees an opportunity to rescue her and write a story on hidden identities that will help her readers avoid similar predicaments. Helen McCorkendale, a private eye and close friend, agrees to investigate both Anne’s fiancé, David, and Laurel’s banker boyfriend, Matt. Laurel had planned to use Matt as the good guy in the story—the one with nothing to hide—but Anne’s situation and Matt’s sudden strange behavior are making her paranoid. Soon Helen and Laurel find that they have stirred up a hornet’s nest buzzing with vengeful Mafiosi, greedy bankers, and dirty politicians. In desperation they turn to Aaron Gerrard, Laurel’s ex-boyfriend and head of New York’s Identity Theft Squad, for advice. Aaron, who has never forgiven Laurel for “betraying” him by concealing information important to one of his cases, reluctantly agrees to help. 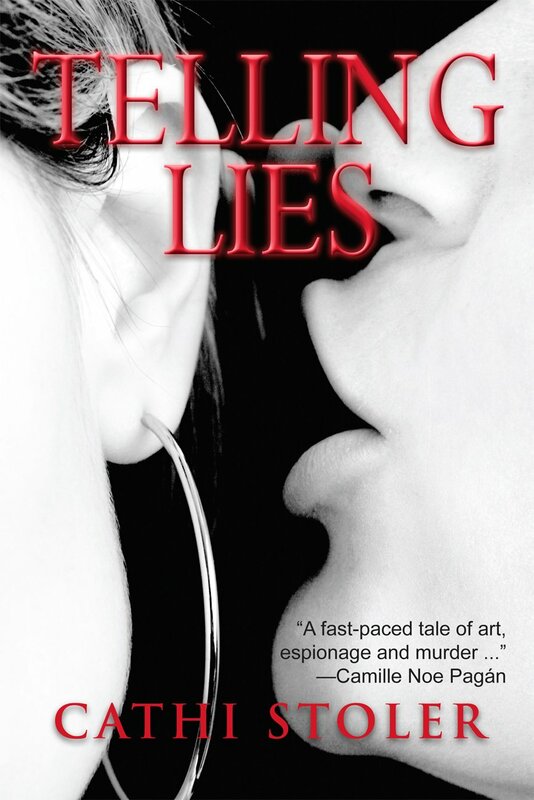 The women discover that everything is connected, and everyone has something to hide. Will the secrets Laurel and Helen disclose keep them alive or seal their fates? 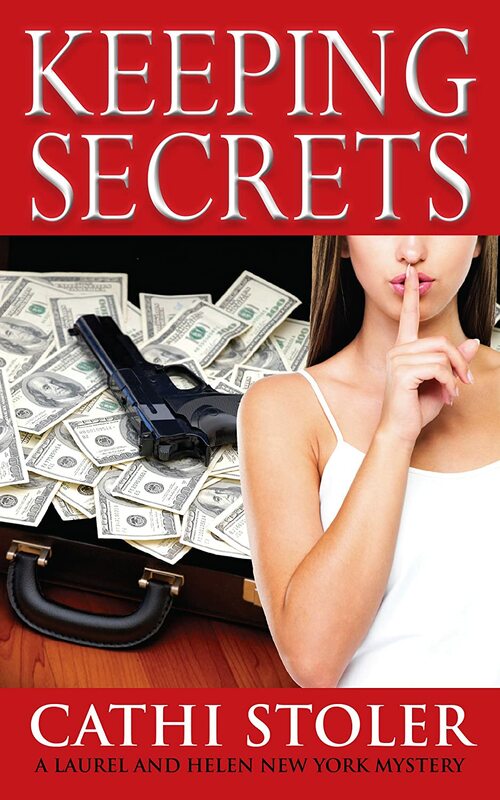 Keeping Secrets is the second book in the Laurel and Helen New York Mystery Series.